On Thanksgiving Day, all over America, families sit down to dinner at the same moment – half-time. Thanksgiving Day is an annual national holiday in the United States and Canada celebrating the harvest and other blessings of the past year. Similarly named festival holidays occur in Germany and Japan. 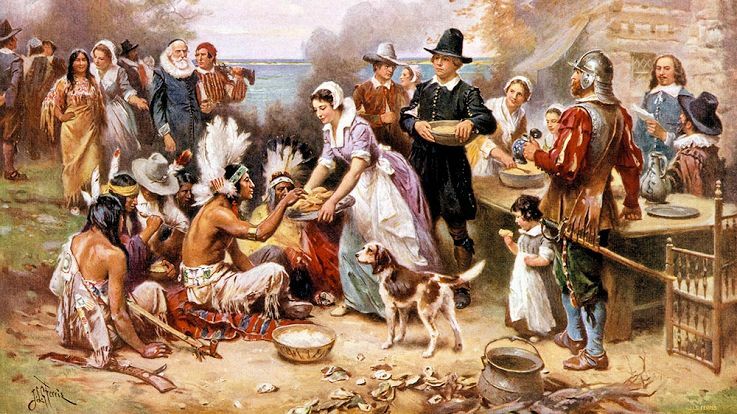 Americans generally believe that their Thanksgiving is modeled on a 1621 harvest feast shared by the English colonists (Pilgrims) of Plymouth and the Wampanoag people. The American holiday is particularly rich in legend and symbolism, and the traditional fare of the Thanksgiving meal typically includes turkey, bread stuffing, potatoes, cranberries, and pumpkin pie. With respect to vehicular travel, the holiday is often the busiest of the year, as family members gather with one another. Although Thanksgiving has historical roots in religious and cultural traditions, it has long been celebrated as a secular holiday as well. Plymouth’s Thanksgiving began with a few colonists going out “fowling,” possibly for turkeys but more probably for the easier prey of geese and ducks, since they “in one day killed as much as…served the company almost a week. 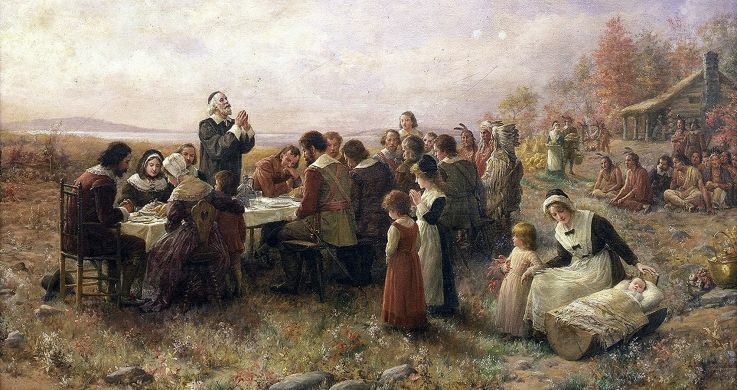 The New England colonists were accustomed to regularly celebrating “Thanksgivings,” days of prayer thanking God for blessings such as military victory or the end of a drought. The U.S. Continental Congress proclaimed a national Thanksgiving upon the enactment of the Constitution, for example. Yet, after 1798, the new U.S. Congress left Thanksgiving declarations to the states; some objected to the national government’s involvement in a religious observance, Southerners were slow to adopt a New England custom, and others took offense over the day’s being used to hold partisan speeches and parades. A national Thanksgiving Day seemed more like a lightning rod for controversy than a unifying force. In Canada the origins of Thanksgiving are sometimes traced to the French settlers who came to New France in the 17th century, who celebrated their successful harvests. The French settlers in the area typically had feasts at the end of the harvest season and continued throughout the winter season, even sharing food with the indigenous peoples of the area. 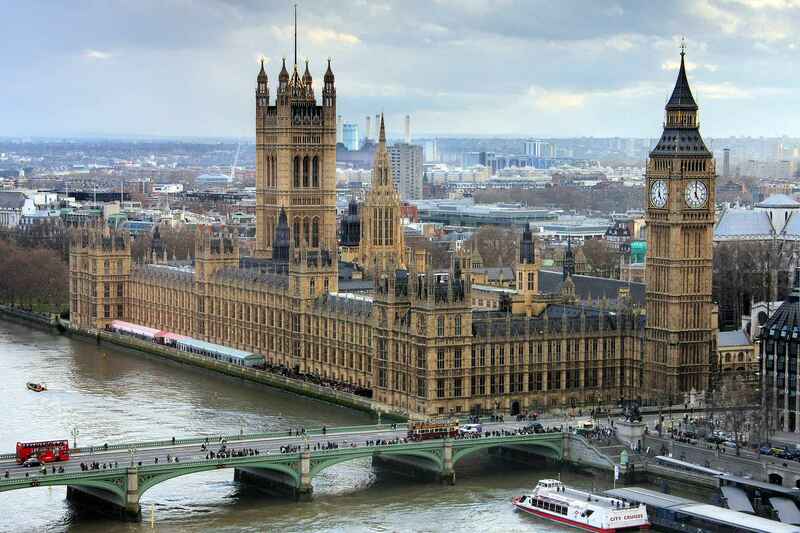 In 1879 Parliament established a national Thanksgiving Day on November 6; the date has varied over the years. Since 1957 Thanksgiving Day has been celebrated in Canada on the second Monday in October. Thanksgiving is generally not celebrated in Australia. However, on the Australian external territory of Norfolk Island, Thanksgiving is celebrated on the last Wednesday of November, similar to the pre-World War II American observance on the last Thursday of the month. This means the Norfolk Island observance is the day before or six days after the United States’ observance. The holiday was brought to the island by visiting American whaling ships. As millions in the US engage in the annual Thanksgiving day traditions of eating and shopping, it’s worth remembering that not everyone celebrates the event. Back in 2015 a group of Native Americans revealed how they feel about the holiday in a series of powerful videos. Among the words they used were “sadness”, “slaughter” and “lies”. The turkey is the symbol for Thanksgiving and Christmas dinner for American families. When the Pilgrim Fathers left Europe to settle in the colonies, they landed in Plymouth, Massachusetts in 1620 and found their new home there. Persecution in the old continent had been harsh, but neither the long journey on board of the Mayflower to cross the Atlantic Ocean, nor the cold winter helped the new settlers, whose life, at the beginning was more than a struggle. Grateful to God, in spite of everything, they decided to praise Him on the last Thursday of November, establishing the Thanksgiving festivity. In America the day is celebrated with a rich dinner where stuffed turkey is the leading dish. What do we know about this big, strutting bird? Native to Central America, turkeys were prized in both Mayan and Aztec cultures and were an important source of food. The Spanish conquistadors who arrived in Mexico, quickly realized the value of the animals and shipped them back to Europe, where they were domesticated and raised in Italy, France and England by the 1500s. The Pilgrims brought them to New England, where they were crossed with the local eastern wild turkey population. With 25% less fat than chicken breast and 75% less fat than lean beef or pork, white turkey meat is a natural choice for the health conscious person. A 3 ounce serving of turkey breast has 120 calories, 1 gram of fat, no saturated fat and 26 grams of protein. Add the skin or choose dark meat and both the calorie and fat count increase. Turkey is a good source of vitamin B and the minerals, iron and zinc. An estimated 95% of American families eat turkey at Thanksgiving while 50% serve it for Christmas dinner. Globally Israelis eat the most turkey: more than 28 pounds per person each year. Black Friday is the day after Thanksgiving Day and the Friday before Cyber Monday in the United States. It is a busy shopping day and is a holiday in some states. Many people have a day off work or choose to take a day from their amount of yearly leave on Black Friday. Some people use this occasion also to make trips to see family members or friends who live in other areas or to go on vacation. 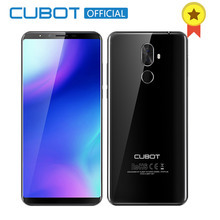 Others use it to start shopping for the Christmas season. 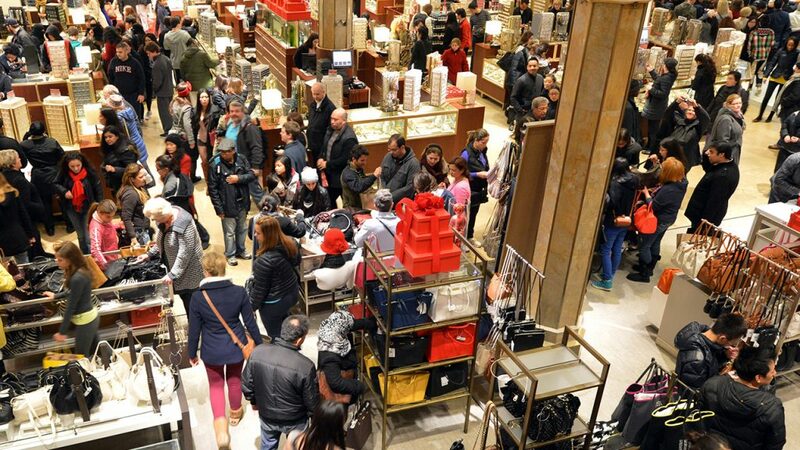 Shopping for Christmas presents is also popular on Black Friday. Many stores have special offers and lower their prices on some goods, such as toys. Black Friday is not a federal holiday, but is a public holiday in some states. Many people take a day of their annual leave on the day after Thanksgiving Day. Many organizations also close for the Thanksgiving weekend.